How do you successfully let social media into your practice? 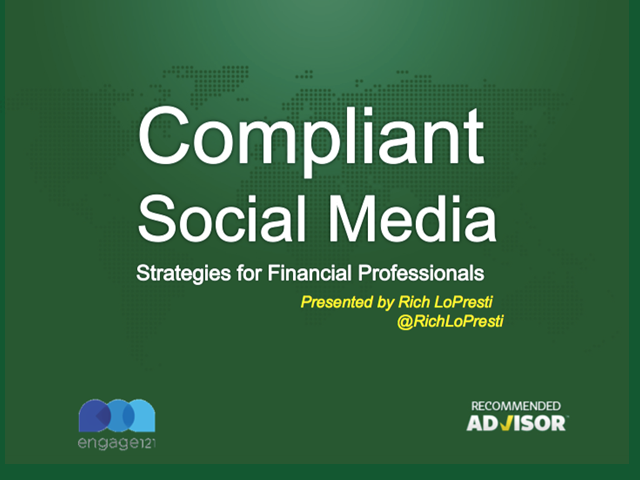 In this presentation, Rich LoPresti will cover compliant social media strategies financial representatives can use right away to grow their business. Audience will gain helpful tips on prospecting, presenting solutions and following up.